In San Francisco, towing cases are very common and unpleasant for that matter. Your car cannot be towed if you have not violated any regulations in the city. 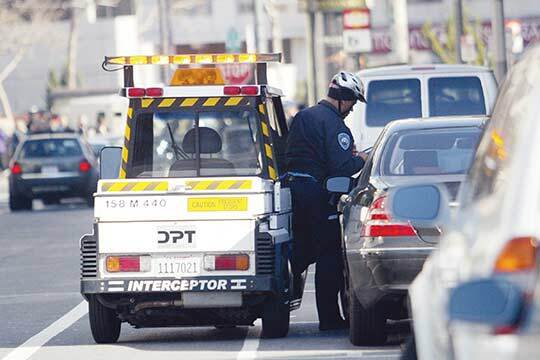 The San Francisco Municipal Transport Agency (SFMTA) is the body tasked with the responsibility of enforcing the parking violation towing in San Francisco with the vehicles towed by the San Francisco police Department. Here is a look at the parking violations that will have your car towed. This regulation states that if you park in a tow away zone, your car will be towed to any tow yard in the city at your cost. These zones include curbside parking areas which are often turned into traffic routes during peak commute periods. These zones have an aim of minimizing traffic jam during those rush hours. During such restricted times, drivers are prohibited from stopping in certain lanes. Violators of the regulation will find their cars towed. In San-Francisco, if there is no other restriction for parking, motorists can only park in one position for a maximum of 72 consecutive hours. Cars that are parked longer than this maximum limited duration could be towed away. One important point to note is that this restriction does not exempt displayed disabled placards or parking lots at residential places permits in the city. When parking your vehicle, ensure that your car is parked in a parallel fashion with the car side aligned against the curb. Also, ensure that the wheels to your vehicle not farther than 45 cm from the side curb. Motorists who park their cars perpendicular to the curb or those who park parallel with the wheels far away from the curb will have their cars towed for breaching the parking regulation. All motorists are required to park their cars facing the traffic flow direction. Even if the car is parked legally but faces away from the traffic flow, the car will be towed for breaching the parking regulation. All motorists who park with a minimum of 3% grade, need to turn their front wheels at an angle. This is to ensure that their vehicle will roll into the curb if the brakes fail or if the car is hit by another vehicle. For example, if the car is facing uphill, the front of the wheels should be turned towards the street. If the car is facing downhill, the front of the wheels should be facing the curb. It is illegal to block driveways when parking. Additionally, check your bumpers to ensure that they have not extended into the driveway, color zone or crossway as this could result in parking violation towing. Furthermore, a car parked should never block disabled curb ramps adjacent to crosswalks. It is also illegal to park on crosswalks whether marked or unmarked, as well as sidewalks. Parking in the streets is allowed only after sweeping has been done. Street sweeping signs always discourage motorists from parking in the way of the cleaning truck. After the street has been swept, you may go ahead and park your vehicle there. However, parking before the sweeping has been done may cause your car to be towed away.